My “desert island” food is the blueberry. My “desert island” place is the ocean. Which proves convenient: I don’t have to bring my favorite place with me to the desert island, it will already surround me. Desert island. Typing that phrase, I realize how comfortable I am using language when I don’t entirely know what it means. That must get me into trouble sometimes but apparently I don’t know when that happens. Desert island. Somewhere remote and cut-off, I figure. Checking that infallible source of information, the internet, I learn that a desert island is an island that is not inhabited by humans. Here’s the point: I love the ocean but I have only been to two of them. Mostly the Pacific. Occasionally the Atlantic. Surely I need to see the others, and visit them from more than one location. Which means I had better get busy and travel faster. 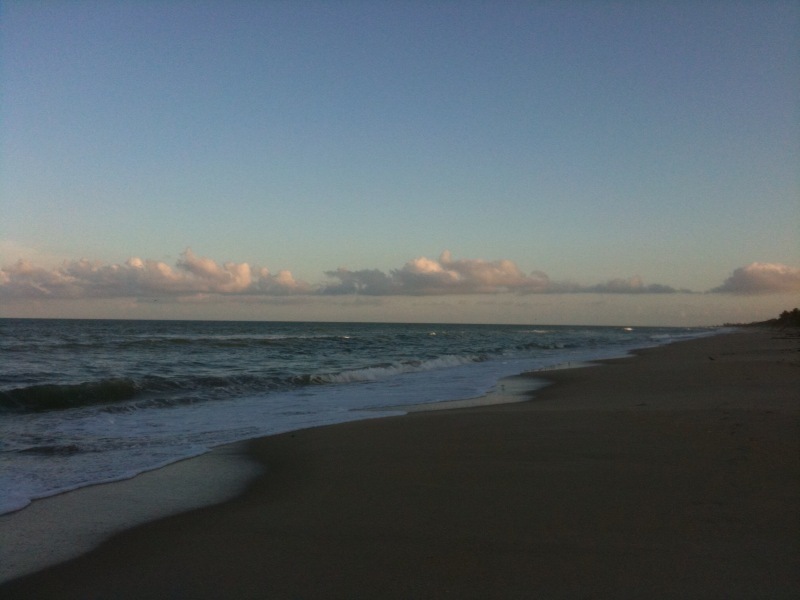 The Atlantic Ocean at sunset from a beach in central Florida. At this beach it was not a good idea to walk while enjoying the view. 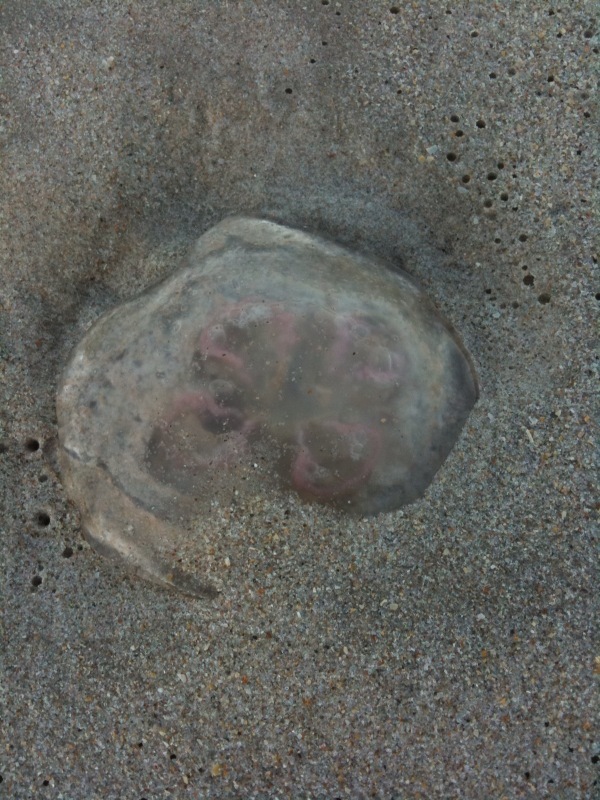 There were dead jellyfish everywhere! I don’t know whether this was typical for this area. Perhaps I visited during a time of jellyfish affliction. It was a beach of dead jellyfish land mines.